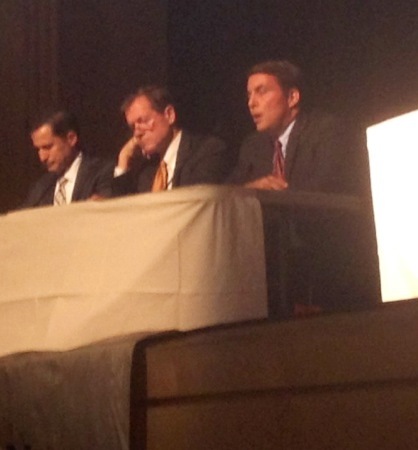 Danvers High school’s capacious auditorium was full on Thursday night, for the last in-person debate between the three candidates who seek to be next Congressman from a District that takes in most of northeastern Massachusetts. The Lowell Sun newspaper moderated the session; three of its diligent journalists asked the questions. If only the two major party candidates had responded to their questions with equal diligence. One hopes — one has a right to expect — that candidates gor the Federal Congress will address major issues — budget priorities, fueling and regulating the economy, enacting immigration legislationl dealing with energy issues, and, yes, bringing Federal funds into the District — would speak informedly about them; would propose what he intends to seek, and why; would seek solutions to difficulties, not aggravate them with rants and bulk them with pablum. I was so hoping, and I was much disappointed, when I was not being insulted, by the verbiage rolled out by Republican Rich Tisei and Democrat Seth Moulton. Disappointing was the first half of the debate, in which Tisei delivered an unfocused opening speech and Moulton a pontification; in which both men fumbled for specifics, or packaged them in high-blown blather. Not until that half way point did Mr. Tisei hit upon an argument actually meaningful : that today Massachusetts has no Congress person who belongs to the majority party, a situationm that limits the effectiveness of our delegation in all things as it hurts our state’s power to secure Federal funding. It would have been nice if Tisei had followed up his argument by telling the debate audience just what he would do with his majority party clout. Would he secure Federal funding, and or what ? Would he advocate for reformist education bills ? Promote alternate energy ? Pass immigration reform ? Fight to raise the Federal Minimum wage ? Granted, that Tisei had to spend much time responding to an outside PAC ad dropped on behalf of Moulton, in which Tisei is accused of voting against veterans. Tisei called the ad ‘a lie,’ and Moulton, who had the chance a few days ago to call for the ad’s withdrawal, instead doubled down on its assertions — which led the debate into byways and pathways of bills and budgets debated, or enacted, in the Massachusetts legislature years ago when Tisei was a state senator. It was a mistake for Tisei to digress the debate, as it was for Moulton to abet the digression. But the digression, and the charges and counter-charges, drew my attention — as for some in the adudience — to the third candidate, Chris Stockwell. Stockwell, who like Moulton lives in Marblehead, addressed every question directly; spoke of his entrepreneurial experience; adduced progressive solutions to the various immigration issues demagogued by Tisei (issues that, admittedly, Moulton also responded to progressively); and, in general, spoke with humor as he framed his answers in the moment. It would have been nice if Tisei and Moulton had edified the debate, and dignified the high office they seek, had they too franmed answers thoughtfullyu in the monet rather than speaking so obviously under pressure from the various outside PACs — the two men wasted debate time accusing the other of taising big money on Wall Street, as they both have done — that today ruthlessly pimp those who seek high office. Stockwell, of course, has no PAC money and so is free to discourse like an actual candidate. It woiuld have been nice, indeed, had Tisei and Moulton acted like potential Congressmen rather than expensive whores. But that’s what it’s come down to, today, in the era of Citizens United and one-issue PACs sucking up greed and spitting it back out as puke and pablum. 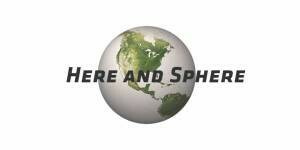 Previous PostWE ENDORSE : CHARLIE BAKER FOR GOVERNORNext PostWhom will the Globe endorse for governor?